These reading comprehension lesson plans can give your intermediate ESL students a fresh look at history and science. They give students some background knowledge as well as extra practice with key vocabulary as they read about different perspectives on topics related to the ways major diseases have affected history. They feature a variety of activities-- from discussion to worksheets, writing, and a webquest-- and provide an overview of the role of disease, and of scientific discoveries, in world (and American) history. In addition to questions checking comprehension, students consider questions that require critical thinking, closer reading, and inference skills. Note: You will need Adobe or another pdf reader to download these pdfs. If you do not have Adobe Reader you can download it, free, here. If you do not need a lesson plan, but just want some interesting reading and then some questions to practice comprehension, also see Free Reading Comprehension Worksheets. 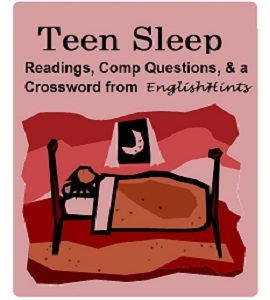 In this short lesson students watch a short TED Ed video about the value of sleep, read a PBS article about sleep and the teenage brain, and answer comprehension questions about what they have learned. They also complete a crossword puzzle based on vocabulary from the video and article. The materials were selected to be easy enough that most English language learners can follow what they say. 6 pages. Right click to download it. A High Beginner- Intermediate Lesson on Whales as Victims-- and Superheroes-- of Climate Change. This hour-long lesson includes some preliminary vocabulary and scaffolding, an article on the potential impacts of climate change on whales and part of a second on ways they reduce it, and a worksheet with reading comp questions. You can download this lesson as a pdf by right-clicking here Get the warm-up survey and vocabulary matching pdf here and the comprehension test pdf here. These lessons, readings, and worksheets are designed as an engaging way to introduce middle or high school intermediate-level English language learners, or mixed classes with both native speakers and ELLs, to reading comprehension skills and some important academic vocabulary. They teach the use of inferences, close reading (along with predicting, skimming, and scanning), summarizing, context clues, and word part analysis—with some examples using common roots, prefixes, and suffixes. Common Core Standards addressed: CCRA R-1,2, & 3—especially in the yellow fever reading and activities. The summary activity also addresses RH.6-8.2 & RH 9-10.2. CCSS.ELA-Literacy L6.4A-B, 6.6, 7.4A-B, 7.6, 8.4A-B, 8.6, 9-10.4A-B, 9-10.6—in the context clue and root and affix lessons. This unit includes 5 detailed lesson plans for a week's worth of high interest reading, context clue, and practice activities. An Investigations Crossword and game ideas for practicing academic vocabulary. * scanning, close reading, summarizing and a time line activity relating to "Solving the Mystery of Yellow Fever." 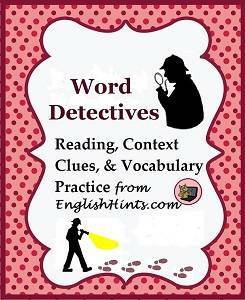 Click the "buy now" button to download "Be a Word Detective" for $9.50. I’m very pleased to finally have this academic vocabulary and word-building skills value-bundle ready to offer. 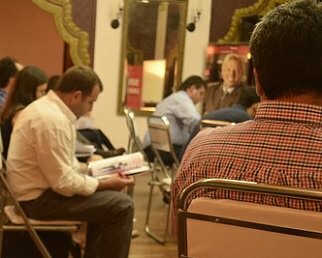 The bundle allows great flexibility, as most activities after the first week will fit into 15 minutes or sometimes half an hour, with some reviews even shorter. It explicitly teaches about 33 important academic words with multiple ways to practice them (most 6-8 times-- enough for a student to acquire the words and fix them in long-term memory) as well as many roots and affixes and word decoding and context clue skills. It’s a great introduction to academic vocabulary, word decoding, and using context clues. 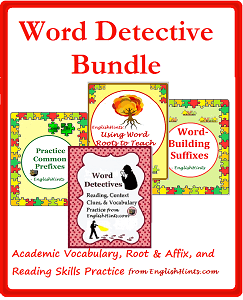 Click on "Buy Now" to download the complete Word Detective Bundle for $19.50. Note: You may receive download files for each of the individual packets within the bundle as well as one for the complete bundle in one pdf. Feel free to open any of them or just delete the extras (or keep them if you find them easier to use as smaller pdfs), but please do not share, as you only purchased one bundle. 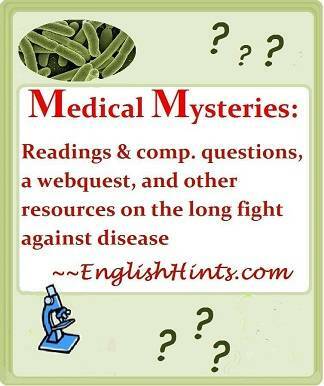 Medical Mysteries is a one to two week reading comprehension lesson plan unit with reading selections and comprehension questions, a web quest, and other resources on the impact of diseases on history and people’s efforts to understand and control them. It's an introduction to the diseases that made scientific research both urgent and difficult, and to the human stories behind medical progress. It includes 3 reading selections followed by reading comprehension questions: The Impact of Disease on History, Solving the Mystery of Yellow Fever, and Scurvy and Sailing Ships. The first reading selection has a side bar explaining some key disease vocabulary, and a crossword puzzle provides additional practice. 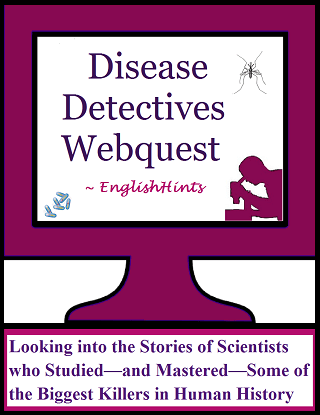 There is a web quest with instructions, suggested questions, and three useful links (not including Wikipedia) for each of 11 scientists so student groups can choose one to investigate and then introduce tso the rest of the class. Recommended for intermediate or advanced ESL students, as well as middle or high school students. These lessons address Common Core standards RI.7.1, RI.8.1, CCRA.SL.2, RH.6-8.1, 6-8.3, & 6-8.7, RST 6-8.4 and 9-10.4. This is a shorter version of Medical Mysteries, above. 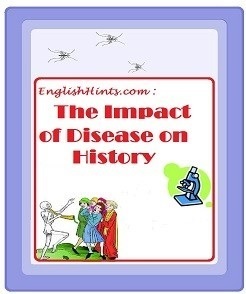 It offers an introduction to the diseases that changed the course of history and made scientific research both urgent and difficult, together with a glossary, comprehension questions, and links to excellent videos and resources on several major diseases. It includes the teacher notes and links, two reading selections, on diseases in history and on the search for the cause of yellow fever (both written fairly simply but accurately, and designed to appeal to middle school or high school students), each with comprehension questions and answer keys. It also includes the optional "Looking Back" summary activity. It does not include Medical Mysteries’ cooperative learning or its article on scurvy. Click below to download it for just $5.25. This is another shorter version of Medical Mysteries, this time centering on the cooperative learning aspects. Like the two packets above, it would work for middle or high school classes, including classes with ELLs above beginner level. It includes lesson plans for a 3(-4, with options) day investigation of the way scientists discovered germ theory and learned to control some of the worst epidemic diseases. The lesson plan for day 1 introduces epidemic diseases and research with 2 short videos and a reading selection on the search for ways to control yellow fever. Suggested doctors and scientists include Edward Jenner, Louis Pasteur, Robert Koch, John Snow, Jonas Salk, and six others-- most familiar to students from the videos or with a brief note on the introductory page. The lesson finishes with an optional short video on the current fight to eradicate polio, and then some suggested discussion questions ("Looking Back") to help students think critically about what they have learned. There are nine pages of content (12 including cover, 1 answer key, and credits). It addresses a number of Common Core Standards: CCSS.ELA-Literacy R1, R9, SL1b, SL4 and/or 5. You can download it for just $4.00 by clicking below. This is also taken from the Medical Mysteries packet. 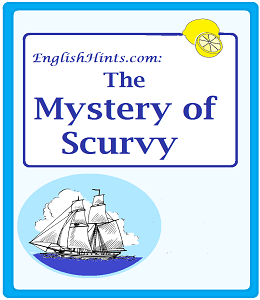 It is a single two-page article about the difficult search for the cause of scurvy, plus comprehension questions and links to videos on the search for causes and cures of other deficiency diseases. Download it for $2.00 by clicking below. See also the "Words for Success" packet in Academic Vocabulary Worksheets. It has a two-page reading comprehension worksheet on an outstanding commencement address on the meaning of success, as well as practice with goal-setting and success-related vocabulary. Home> ESL Lesson Plans> Reading Comprehension Lesson Plans.